How to help my toddler, kid gain weight? Can I add ghee to baby’s diet for weight gain? Diet for underweight toddler – Many parents worry about their children being underweight or their failure to thrive. They try to find ways to help weight gain in their children. Find where your child stands using this Growth chart calculator based on WHO standards. Most often it could be unnecessary stress, as kids usually know what they want to eat and when. However, there can be various reasons for your child not gaining as the kid next door. One very important reason is heredity. If you or your partner or both of you were skinny as kids, it would show its effect on your kid as well. Children after two years of age would gain between 1.5 to 3 kgs per year, so do not expect too much and be hell-bent on making your child roly-poly. If your child has some eating disorder, make sure to discuss it with your tot’s doctor. Check out diet plans for toddlers here. Some kids are very active or have high metabolism and do not gain considerable weight despite eating well. One mistake that many parents make is to feed sugary, sweet, fat-laden items to kids in hopes of making them gain weight. This will only reduce her appetite for healthier food and it not a good option. You may introduce extra calories into your child’s regular food in a healthy way without hampering her appetite. Here are some suggestions to introduce more calories to help your child gain weight. Breastmilk is the best balanced and healthy food for baby. It is also rich in fats and helps weight gain. My daughter was a small baby born at 2.7 kilograms. Her doctor suggested breastfeeding frequently and at her 3 months check up, she had caught up and was in the healthy 50 percentile on weight chart. Thus breastmilk is the best for your baby’s weight gain and you may continue breastfeeding your child as long as you and your baby wants to. Eggs are great for weight gain. You can introduce egg yolk in baby’s diet after 8 months. Doctors advice avoiding egg white till 1 year. 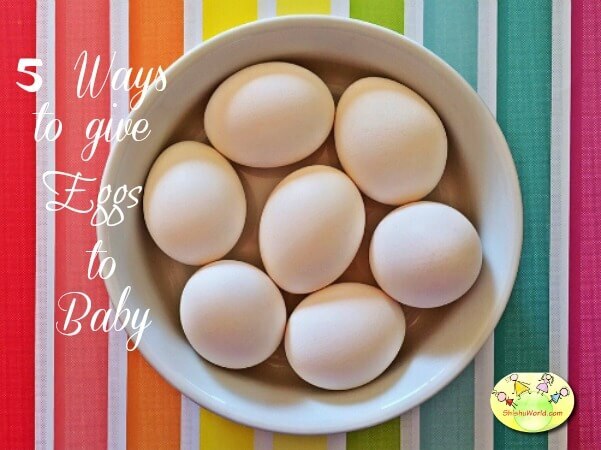 If you are not sure how to give egg yolk to baby, check 5 recipes to introduce egg yolk in baby’s diet. Khichdi is a wholesome meal of lentils and rice and is great for healthy weight gain. There are plenty of variations of khichdi too. Here are 10 khichdi recipes for babies and toddlers. Add potatoes and other starchy vegetables in baby’s diet. Here is a no salt Pumpkin and potato soup recipe for babies. Serve full fat milk and curd to your child. Do not skim cream out of milk. This extra fat is good for your growing child. You may milk and curd in your child’s diet in the form of smoothies, milk shakes, lassi or curd rice. You could add a little ghee, butter or olive oil to your child’s dal or veggies. Start with just a few drops of ghee in baby’s food and then you may add upto 1-2 teaspoons a day to a toddler’s food. You may add cheese to pizzas, pastas and sandwiches. Children love cheese and it helps in weight gain. However, try and take unprocessed cheese as much as possible. Processed cheese has too much salt. You may also add paneer to your baby / toddler’s diet. Paneer is very good for weight gain. You could also add cream to soups, jam sandwiches, mashed potatoes etc. when you make these for your underweight toddler. Make healthy desserts like kheer or carrot halwa with full fat cream. Add nuts to your underweight kid’s diet. Almonds and cashew nuts can be added to your child’s cereal. Raisins can be given for snacking. Peanut or coconut chutney can be given with idlis and dosas. However, nuts should be powdered or chopped fine as they can pose choking risk. 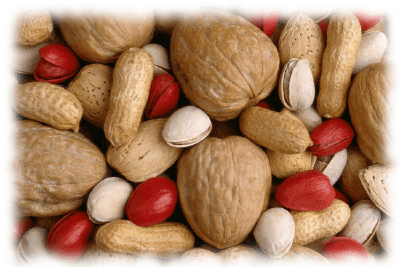 Read more on how to add nuts to your toddler’s diet. Almonds are considered very healthy and you might remember how our mothers used to soak almonds overnight and give them early morning. If you child does not like eating almonds straight like my daughter, make this delicious almond milk powder to kill two birds with one arrow. 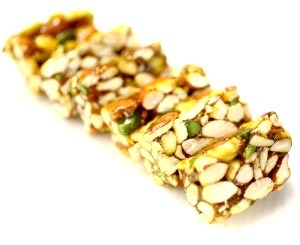 Along with nuts, you may add seeds too to your toddler’s diet. Seeds like sesame seeds, pumpkin seeds, melon seeds, flaxseeds etc. are rich in healthy fats as well as fiber and protein. You can give peanut butter to your child. Children usually love the toasted peanut taste and it is good for them in limited quantities. You can make your own peanut butter for a healthier and more economical option. Avocados are rich in healthy fat and are one of the best sources of vegetarian fat. Add eggs and chicken to child’s diet if you are non-vegetarian. Red meat is also great for weight gain. Jaggery or gur is a trational, non-refined sugar in India and other parts of Asia. It is commonly prepared from sugarcane juice and date palm. It is healthier than refined sugar and used in plenty of traditional recipes. Add organic jaggery to your child’s diet to add some extra calories. Not all sweets are bad and you can let your underweight toddler enjoy these sweet treats without any guilt. Soy milk or nut milks like almond milk or coconut milk are also great for weight gain in children, specially if your child is allergic to milk. 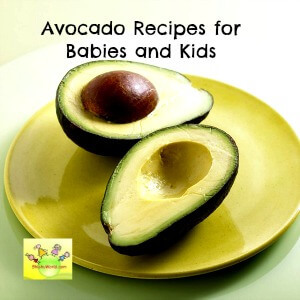 Serve variety of food items to make meals enticing for your toddler. Do not keep serving same things every day. Add fruits like banana, cheeku and mangoes to your child’s diet. These fruits are naturally rich in calories and are help in weight gain. Ragi or nachni is a very nutritious millet and it is advised to be included in diet of babies and toddlers. Above all, make mealtimes pleasant and not a power struggle between you and your child. Do not force her to finish everything on the plate. Ensure that your child is not getting all her calories from junk food or juice. Is juice good for toddlers? Hope this will help you in planning your baby’s food. If you like it, please share it in your circle. Please leave a comment to ask a question or let us know your feedback. You can follow us on Facebook, twitter and pinterest. Flu Vaccine / Influenza Vaccine: What , Why and When?? Please advise me which healthy breakfast I gave my 4years baby girl. You can give eggs, paranthas, poha, upma anything good wholesome homemade breakfast. Here is a list of 50+ breakfast options we did sometime which is sure to help you. You can roast them lightly and make a powder and then add it to any food that you give. Thank you for being a great helper. My concern is my daughter is 2 years. She never deny any food. But dont know what is going wrong she spoils her stomach very often. Mat be time gap or the quantity. Pl help me. Say morning milk to evening dinner time gap and quantity of each meal snack and milk. Also 1 cup equals 200 or 100 ml. Thanks. My baby is 20 months old pls suggest for weight gain diet because she is very thin.